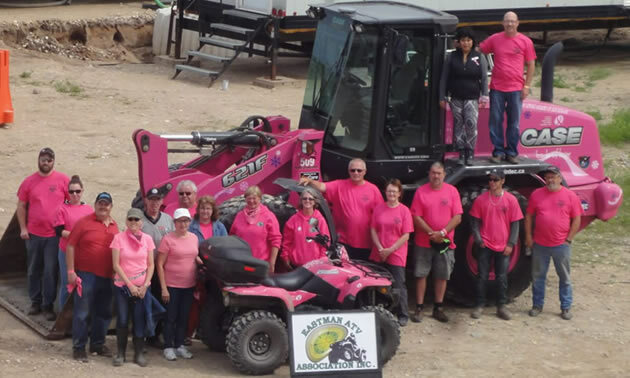 For the past two years, the Eastland ATV Association has raised funds for Cancer Care Manitoba through its Ride for Mom event. 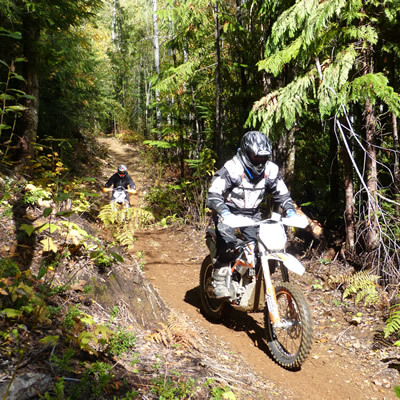 Association president David Lee is hoping the event has another successful year on June 9, beginning at the Eastman ATV staging area in the Sandiland Provincial Forest. "It is our third year, and we are changing the format a little bit this year," Lee said. "We are trying to streamline it for the ridership and also make it a little easier on our volunteers." Lee praised the efforts of the event's founder, Deborah Nicol, who led the charge for the ORV event's first two years, raising over $20,000 in the process. "She was inspired by the Ride for Dad event for prostate cancer research for males and asked, 'Why isn't there a Ride for Mom?' She did a fantastic job of bringing this event into creation and reality," Lee said. "This year, she is taking a break. It’s a lot of work and a lot of responsibility with time constraints. She stepped back, so the club as a group decided to keep the event going in her honour." Lee, along with other organizers with the Eastman ATV Association, felt it was important to carry on Nicol's legacy and keep the project going. "She was personally affected by this, and it’s very close to her heart to see this event go on," Lee said. "Not just her . . . people actually attend this ride for many reasons. A lot of people have family that have been affected by this disease. They may have been personally affected. It gives them a platform to raise money for the cause." Lee said all money raised from this event will stay in Manitoba. He adds that everyone who takes part in the event is in for a great ride. "You'll be taken on a 89-kilometre (55-mile) ride on marked trails, and on this trail, there will be different types of terrain like gravel, forest trail to a little bit of road and you may have a little bit of water, depending on the type of year we get," Lee said. "We do have a gravel space area that you can transfer a bit of water safely without having an impact on the environment." He said Ride for Mom is open to all ages and gives the entire family an opportunity to support the cause. "It’s a family-oriented ride, nothing too aggressive. This is a trail ride, so we really encourage the family to come out," Lee said. "Cancer Care Manitoba does a great job of supporting all of our community. It’s bigger than all of us and if we can do a small part to ease the pain and suffering of our fellow Manitobans and have some fun when doing it, it’s a great day for everybody all around." More importantly, Lee feels it gives people an opportunity to fight back in their own way. "Cancer affects all of us, but what it does is it gets people talking about this disease, gets people out in the open and talking with each other," Lee said. "If we can make it a little easier for them to get through this struggle and an opportunity to talk to other people with the same type of disease, we've accomplished our goal." Around 800 riders took part in last year's event, so participants are encouraged to visit http://atvrideformom.com/ to preregister. From there, riders can start collecting pledges to support Cancer Care Manitoba until June 9. While the Eastman ATV Association is thrilled to support Cancer Care Manitoba, president David Lee said they also want to keep the trails in one piece. "We do take a trail fee for this. We want to leave the trail in the same condition it was before we started this event," Lee said. "A portion of our registration fee goes toward maintenance of our trail." Lee believes that ORV riders have a responsibility to manage their riding areas. "I think sustainability is a key thing right now," Lee said. "Unmanaged riding can leave a pretty dramatic footprint on our environment, and as traffic increases, so does the destruction on our environment." Lee said this event showcases that belief. "When we arrive that day on the trail, we make sure the trail looks the same way after our event. We've actually gone in and repaired trail," Lee said. "Every year, we build up our trail to a higher standard and it can maintain the traffic more efficiently."